Hobbies In Harmony: A Harvesting We Will Go!! 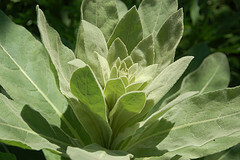 The weather has turned the mullein and the Saint John's Wort into little yellow flower factories! It's a perfect time to be harvesting both here! They both grow wild and are often found in dry, gravelled areas. There are some growing along the back roads here in the countryside. 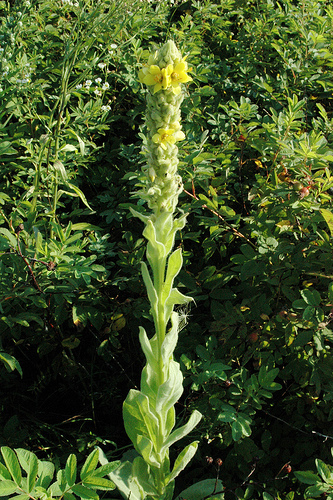 Mullein (Verbascum thapsus) is a soft, peaceful plant with an affinity for aiding in lung and bowel complaints. 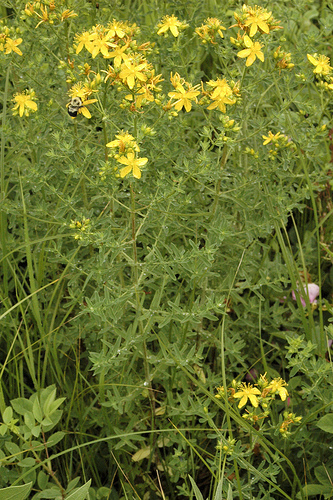 Both leaves and flowers are used in medicinal remedies. Harvest the younger leaves in early Spring and the blossoms in the middle of the summer. When looking for information to share about this lovely plant, I found this great link to Ryan Drum's overview of three wonderful herbs, Nettles, Horsetail and Mullein. 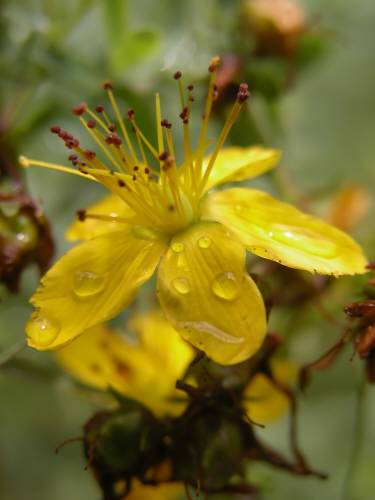 Saint John's Wort (Hypericum perforatum) is also a bright, cheery plant to harvest on a warm summer morning... if you don't mind competing with the bees! You'll know you've found it if you hold one of the leaves up to the sun and it has little pin holes all over it! This plant is widely known for its use in treating depression and there is much research available on this plant as a result. 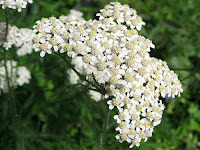 This plant has a wealth of uses and is a staple in my apothecary. While you're out wandering around looking for these yellow fellas, keep an eye out for the lovely white Yarrow (Achillea millefolium) also in bloom right now! I have a posey of that hanging up drying right now too! !